"In her work, rituals of the artist's past (revolving around religion) and the present (the photographic process and its deconstruction) are the main focus. The dress represents Rochelle's childhood, yet its constant reappearance shows the impossibility of shedding that history. 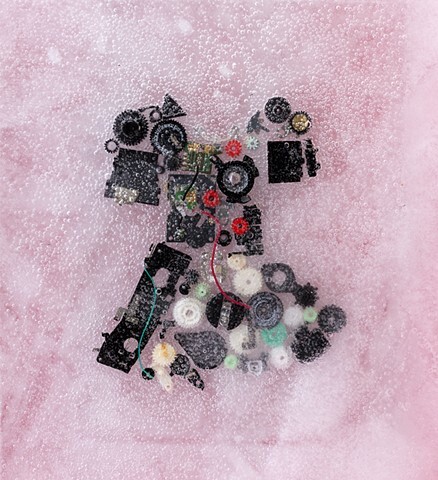 Carefully taking things apart whether it is a camera, text, or reinterpreting an outline of a dress with roaches in the snow, creates a broader understanding of distant experiences that are constantly informing who she is today. More than anything, her work is a coming of age, an introspective examination of a faith no longer desired and the quest for art as its replacement."